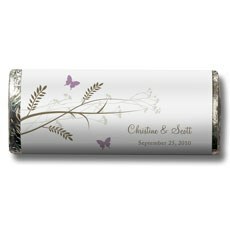 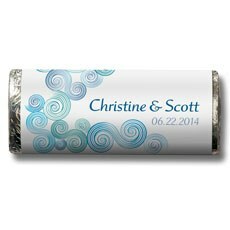 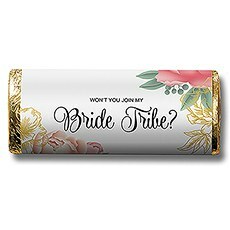 Learn how customizable chocolate bar wrappers from Weddingstar can make the candy buffet at your party or reception truly memorable. 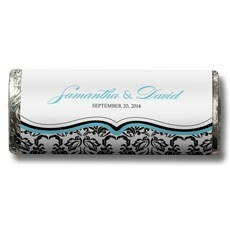 We've been helping people plan all kinds of parties for over 30 years, and we know how the right finishing touches can make a party's theme really come together. 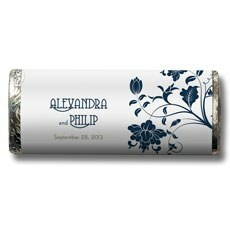 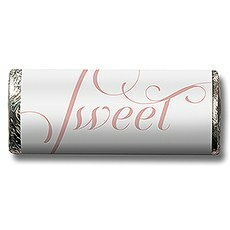 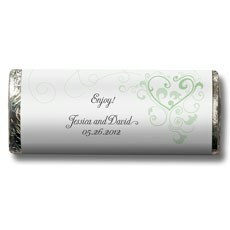 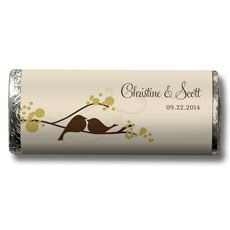 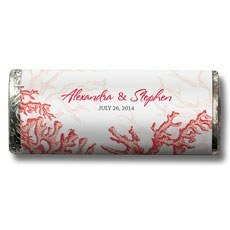 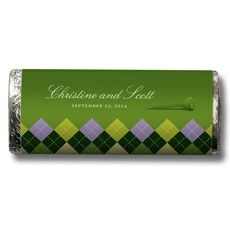 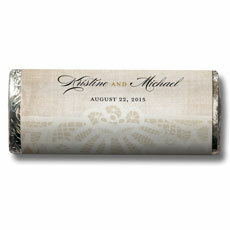 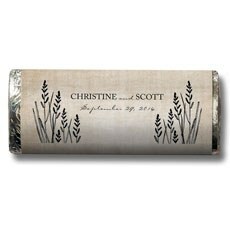 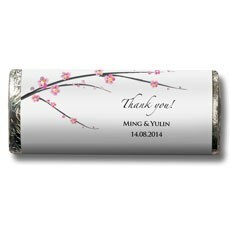 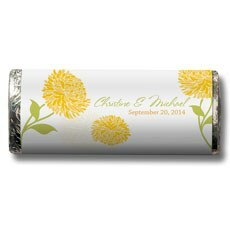 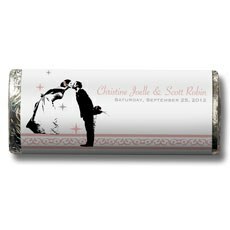 Customized chocolate bar wrappers that dovetail with your wedding, reunion or birthday party theme become a sweet memento of a truly memorable occasion. 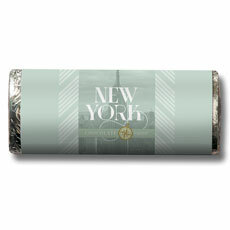 If your retirement plans include that trip to Europe you've both been dreaming of, include our Vintage Travel assortment of nut-free milk chocolate bars in your candy bar or buffet. 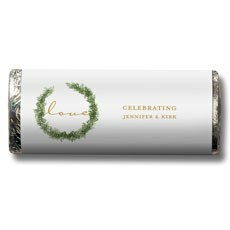 Choose from gold or silver foil wraps, and specify two lines of your own message to wish yourselves a bon voyage or express your continued love of adventures on the road. 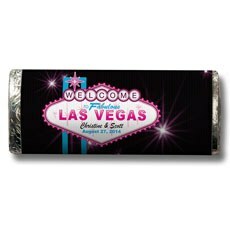 Take your company's Vegas Night fundraiser to the next level with these glitzy wrappers featuring the well-known sign that welcomes visitors to that mecca of desert decadence. 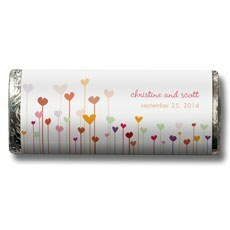 Include two lines of your own personal message to thank donors, commemorate the date or call out your organization's credo. 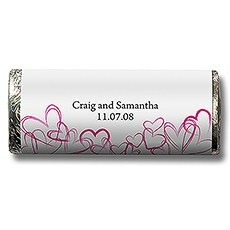 A candy bar or buffet adds childlike fun and whimsy to any event, but our Retro Pop personalized chocolate bar wrappers amplify that playful spirit with bright colours and graphics. 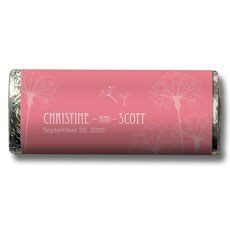 Customize the date and two lines of text for the birthday boy's name, your family motto or the graduate's degree and school. 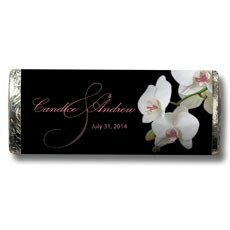 All the nut-free chocolate bars from Weddingstar are produced in a U.S. nut-free facility, guaranteeing safety for those with nut or peanut allergies. 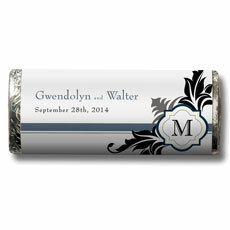 Order them no more than two or three months before your occasion to ensure freshness, but order an ample supply — chocolate bar favours are really popular, and orders over $99 ship free.